New Delhi : Aggrieved with the new order of the Delhi government calling for longer OPD hours, around 15000 resident doctors associated with 32 government hospitals have now threatened to boycott OPD from November 1, 2017. The response comes in to a recent directive of Department of Health & Family Welfare, GNCT of Delhi, OPD working hours of doctors have been revised from 9:00 a.m. to 1:00 p.m. (4 hours) schedule to 8:00 a.m. to 2:00 p.m. (6 hours) in Delhi Government hospitals. The order of additional working hours has not gone well with the resident doctors, who pointed out are working more than prescribe 48 hours in a week. Moreover, doctors pointed out that while the government increased the time for doctors, nothing was done for the ancillary services including laboratory and registration, as a result, long queues still persist outside hospital OPDs. Long queues of patients were observed at the Government Hospital Pharmacies and Registration Counters. Though the Government hospitals have been ordered to extend the OPD working hours, No measure has been proposed for reducing the long queues or waiting time of patients at the pharmacies and registration counters. There should be a written order stating the duty hours of doctors, in compliance with the 48 hours a week working schedule and that should be strictly adhered to. Previously hospital working hours were from 9:00 a.m. to 4:00 p.m. Now that the OPDs will start at 8:00 a.m., hospital working hours should be from 8:00 a.m. to 3:00 p.m. Sample collection timing in the laboratories and the duty schedule of all laboratory technicians including Radiology technicians should be uniform and in accordance with the new OPD hours, either from 8:00 a.m. to 2:00 p.m. or 8:30 a.m. to 2:30 p.m. There should be adequate manpower in all the OPDs which is highly essential for the smooth conduct of OPD activities in view of the heavy patient load. OPD assistants should be placed in the OPDs. There should be new recruitment of staffs wherever the situation demands. 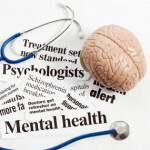 The 8:00 a.m. to 2:00 p.m. schedule demands 6 hours of work at a stretch which might affect the quality of patient care. The timing of short break in between OPD hours as well as the lunch timing of doctors should be specifically mentioned. Many doctors and paramedical staffs are posted in the Mohalla clinics and Polyclinics. Though it was a good initiative in the direction of reducing the patient load, there has hardly been any reduction in the footfall of patients in hospitals. Increasing the number of such clinics and recruitment of doctors might solve the issue. Doctors also pointed out that since, their duty hours had gone up, commensurate increase should be made in the pay of doctors who working at these OPDs. However, with no response coming from the government despite repeated requests from the organisation, the doctors have threatened to boycott OPD services from November 1. I think 6hours of OPD without proper ancillary services is useless & it will add agony to the patients. 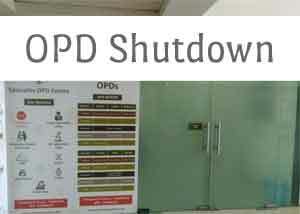 There is no point in extending OPD hours in hospitals running emergency services. The patient load can only be reduced by strengthening dispensary & polyclinics & developing proper referral system. Mohalla clinics has not been upto this mark till now. 6 hours OPD a day, either at a trech or devided is quite genuine this step is taken by government keeping the need of each members/occupation /social group. So far the need of other associated infrastructure to facilitate this hospital OPD hours will be charged certainly by government. Our OPD hours is From, 8am to2pm at a stretch without any break from the beginning of hospital in our pediatric dept as we have very few manpower.